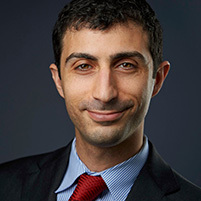 Samuel Wenocur has been with Oxfeld Cohen as an associate since 2013. He represents both public and private sector unions throughout New Jersey covering a wide variety of professions, including education, healthcare, transportation and police. Mr. Wenocur handles many aspects of union representation, such as unfair practice charges, employee disciplines, grievances, negotiations, and workplace investigations. Mr. Wenocur also represents individual employees who have been subject to unlawful employment discrimination and retaliation, including violations of the Conscientious Employee Protection Act (“CEPA”), Title VII, and the Uniformed Services Employment and Reemployment Rights Act of 1994 (“USERRA”). Mr. Wenocur has particular expertise in cases covered by the New Jersey Law Against Discrimination, including the Equal Pay Act, disability accommodations in the workplace, and differential treatment based upon an employee’s protected class status. Mr. Wenocur has extensive experience in education law. He has successfully represented clients in tenure proceedings, state investigations, harassment, bullying and intimidation (“HIB”) complaints and teacher certification issues. Mr. Wenocur’s work in education covers nearly every type of school employee, including teachers, paraprofessionals, bus drivers, custodians and security guards. Mr. Wenocur handles all areas of litigation, including matters in state and federal court, administrative proceedings, arbitrations, departmental hearings and appellate matters. Mr. Wenocur’s other areas of practice include unemployment appeals, state pension retirements, employment contracts, the Open Public Records Act (“OPRA”), and the Open Public Meetings Act (“Sunshine Law”). Mr. Wenocur received his B.S. in Industrial and Labor Relations from Cornell University and his J.D. from the Benjamin N. Carodozo School of Law. Mr. Wenocur is a member of the New Jersey and New York State Bars. He is also a Pupil of the Sidney Reitman Employment Law Inn of Court.